What critical business revenue problems are you facing in your business today? No business has ever existed without some challenges. And as a business owner, there are 4 critical problems facing your business especially when it comes to making revenues. These 4 critical business revenue problems are essential to the survival and growth of your business. After all, you need money to sustain and grow your business. What are these 4 critical business revenue problems peculiar to every company? Thankfully, we at Differentiate Online™ have been able to create an important strategic marketing solution –360° digital marketing strategy –to help solve these problems. 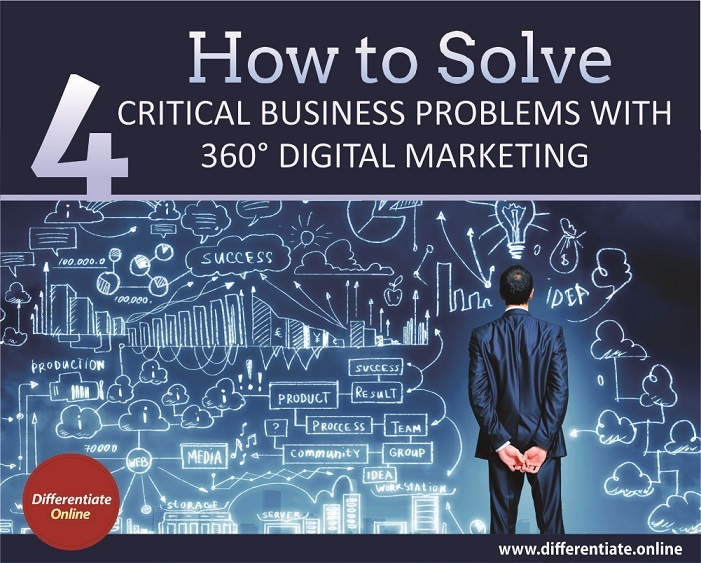 Therefore, in this post, we are going to be looking at how to solve these 4 critical business revenuer problems using 360° digital marketing strategy. How can 360° digital marketing strategy solve the above 4 critical business revenue problems? 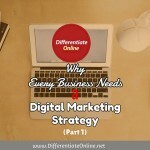 Having an online presence for your business is one thing, in fact, a strategic thing. But, finding customers to visit it or to find you or to know whatever product or service you offer online is another thing and a problem too. This is because one of the critical business revenue problems most businesses face is finding prospective customers. When you are unable to find the people who will patronize you, the survival and growth of your business is futile. 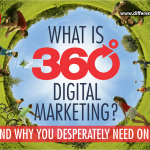 How can 360° digital marketing strategy help you solve this problem? 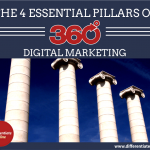 There are 4 Essential Pillars that make up our 360° digital marketing framework. Using the first pillar – design strategy – you craft an unusual website (your online office) to target prospective customers. That is, with such an unusual website, you will be able to find your target market online to enable them know more about your brand/business. Without this digital marketing website, which we refer to as your office online, it’s impossible to find prospective customers online. It is the destination you send all the prospective customers who find you online to. If none exists, then your brand, business or company can’t be found online! Now, you’ve been able to FIND your prospective customers, the next critical problem to solve is attracting them to your 360° online presence as visitors. Finding prospective customers alone cannot guarantee the survival and growth of your business. You need to attract them to visit your website (office online) and check out what product and services you offer. You need to attract them to know more about your brand/business. If you fail to attract them as visitors to your website, it will be difficult for them to know more about your business. And until they know more about the products/services you sell, they cannot develop sufficient interest to buy from you. This is what makes it a critical business revenue problem that cannot be overlooked. So, how can this problem be solved with 360° digital marketing strategy? 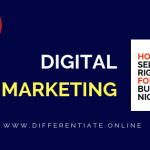 There is no other way than to use the first 3 pillars of 360° digital marketing which consists of design, content and traffic strategies to engage them to checkout your products/services. But of all these 3 pillars, content is the BEST option in attracting prospective customers as visitors to know, like and trust your brand. Why? Because the contents you create and share online are your sales people online. In fact content is the life blood of a 360° digital marketing strategy. And without them, you can be rest assured no one will give a damn about your presence online. Ok, you’ve been able to find and attract prospective customers by using the essential pillars required to solve these two critical business revenue problems. But there is two more critical business revenue problems to solve to enable your business succeed [survive and grow] in this digital era. One of them is to convert prospective customer (i.e. the target audience you’ve been able to find and attract) into profitable customers. One of the main reasons your business exist is to make profit. And the only way for it to become profitable is to be able to turn traffic [prospective customers] into sales [profitable customers]. If your business fails to make sales – i.e. fails to convert prospects into profitable customers, successfully generating revenue through your business will be futile. How can you solve this critical business revenue problem and prevent your business from failing to make sales? This can be solved by using content, traffic and conversion strategies to turn them from prospect into profitable customers. 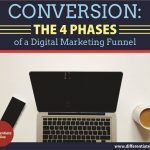 This is done by strategically integrating an automated sales funnel into your website. This will influence them to buy from your brand/business. Now, even if you’ve been able to make sales by converting prospects into profitable customers, how do you sustain the conversion? How do you retain profitable customers for long term? This is a critical business revenue problem, and one that needs to be solved. Because achieving profitability is not done through one single sale, but through repeat purchases. So, how can this be solved with 360° digital marketing? Solving the business revenue problem of customer retention is achieved by integrating the whole components of design, content, traffic and conversion strategies of a 360° digital marketing strategy. 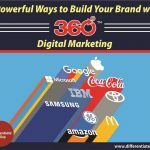 together, these 4 components of a 360° digital marketing strategy will help sustain the positive brand image you’ve created with the customer. Your Design strategy will help to consistently communicate your commitment to quality. Your Content strategy will help to ensure sustained engagement with the customer. Your Traffic strategy will help to increase your mind share with the customer. And your Conversion strategy will help to ensure future sales is guaranteed from the customer. This is known as Customer Lifetime Value (CLV). 360° digital marketing strategy is not just an option but a necessity for smart businesses to succeed in the digital era. It has become an important strategic marketing function that smart business owners must implement to build and grow their businesses. Any smart business owner who would want to see his/her business survive and grow in this digital age must have these 4 critical business revenue problems peculiar to every company solved with 360° digital marketing. After all, being able to find, attract, convert and retain profitable customers is the essence [survival and growth] of any business. Is your business facing these 4 critical business revenue problems? Are there other critical business revenue problems apart from the above four your business is facing? Or would you like to have them solved with 360° digital marketing strategy? If yes, click here to get started now to build and grow your brand/business online. Ifeanyi Okolo is a content developer at http://Differentiate.Online and the Chief Facilitator at http://PASS4LIFE.com. He's passionate about helping people live with Distinction in all spheres of their lives.